Are you looking for both comfort and elegance at a good price? 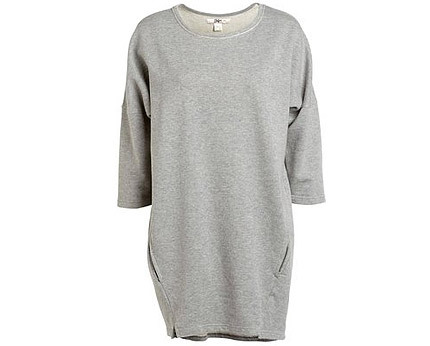 This women’s tunic top with elbow patches, available in three colours – grey, red and black, is an ideal choice. It is made of sweatshirt fabric with a slight sheen, featuring two side pockets, slits at front hem and faux leather elbow patches. 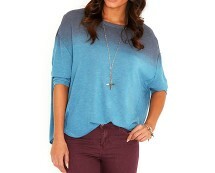 The oversized design is perfect for teaming with skinny jeans or black leggings for that casual cool look. 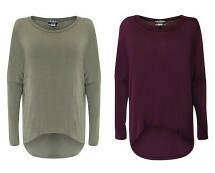 This women’s tunic top with elbow patches can be yours for £27.00 from ellos.co.uk. 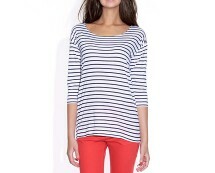 The fisherman-style T-shirt is the ultimate in nautical style! An easy-to-wear style that is always a firm favourite every season. Fisherman-Style T-shirt with 3/4 length dropped sleeves in soft and silky jersey.